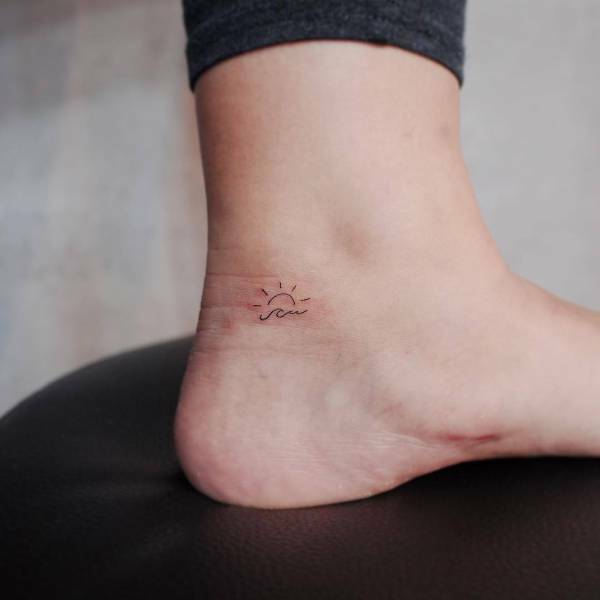 Small sun tattoos have a striking look that many people around the world favor for their ink designs. You can find them is incredible variations and beautiful designs that will make you look wonderful white extra character and immense style. 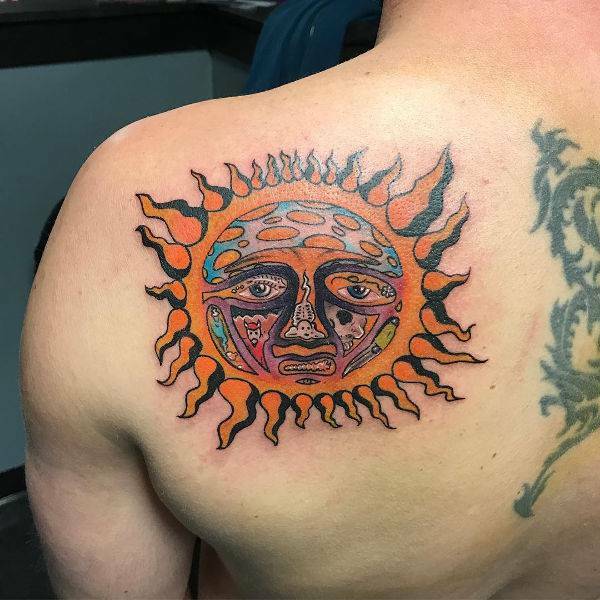 The neck tattoos have a great selection of designs that you can choose from. There are many styles and layouts that will give you stunning looks. 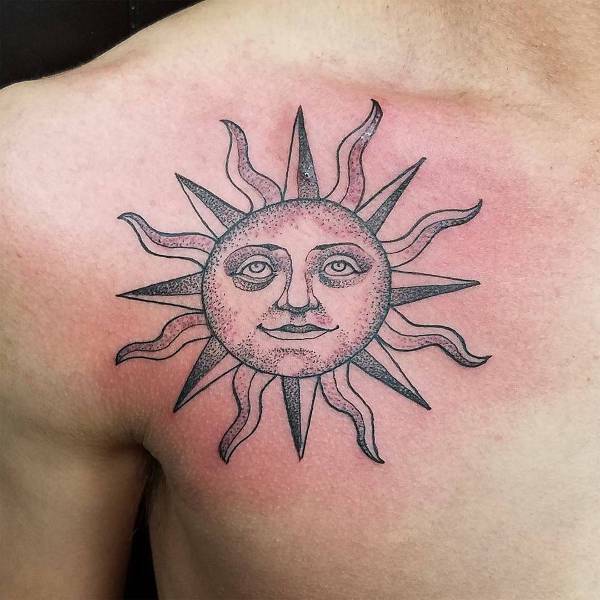 Choose a sun design with intricate rays that will make it look more interesting. 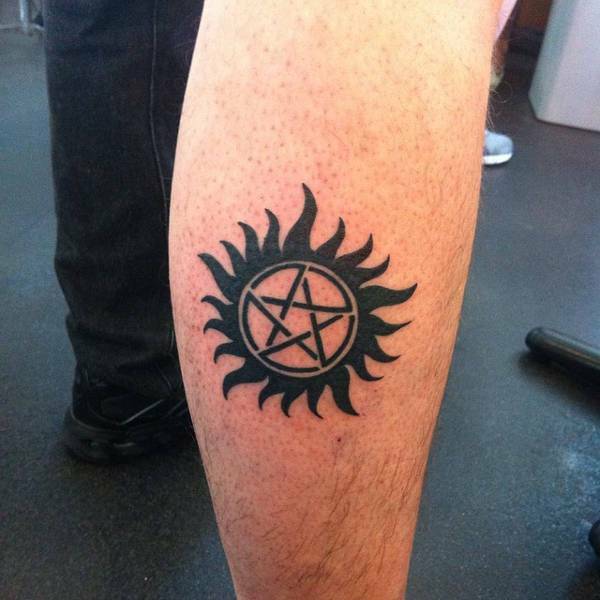 Tribal tattoos are suitable for everyone while they are available in almost every theme and subject. 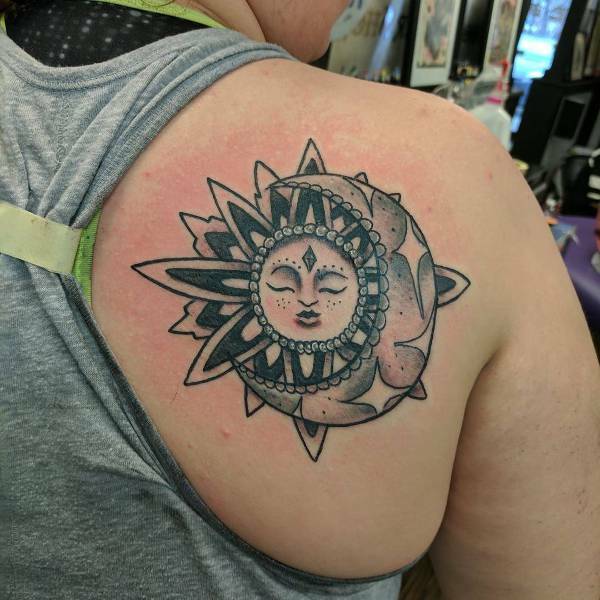 Same goes for sun tattoo designs where you will find incredible lines and curves creating a beautiful design that you can ink at any part of your body. 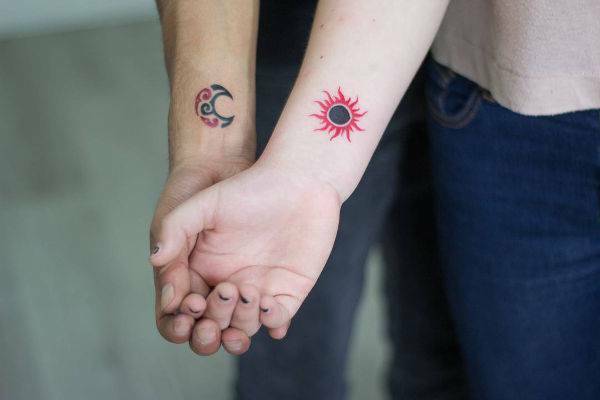 Sun and moon designs are created to show the double nature of a person. 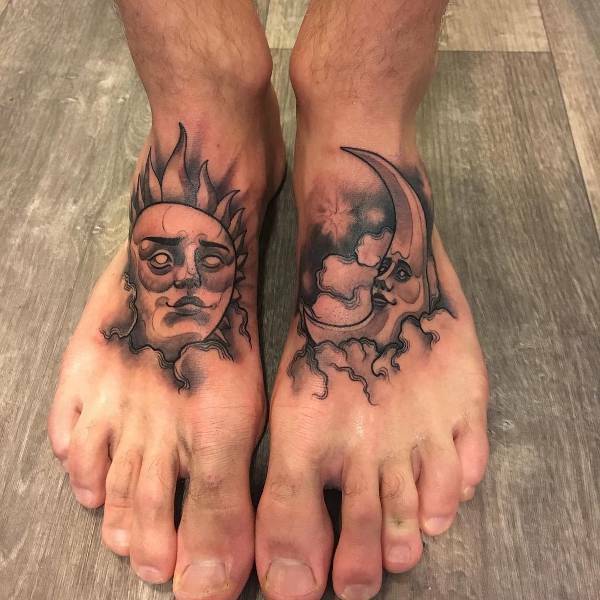 These designs will get a deeper meaning for those that have found their way in life and are determined to accept every aspect of their psyche. 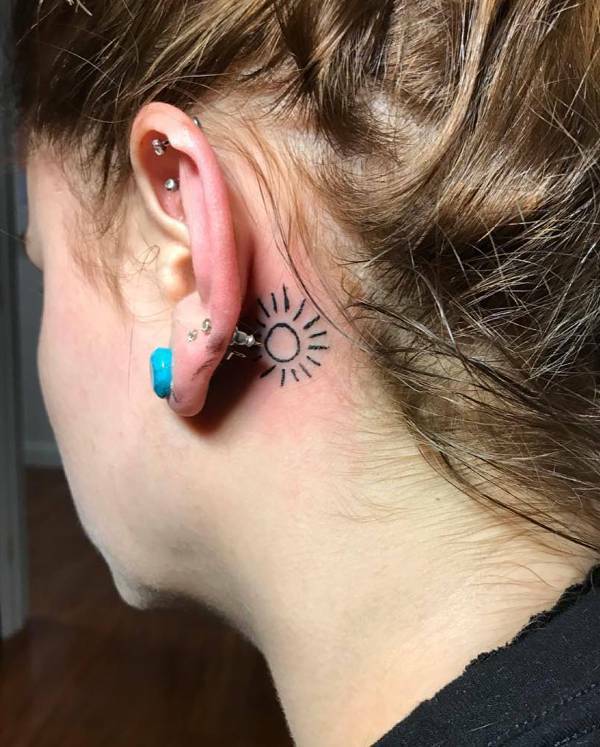 If you want a tattoo that will look stunning while at the same it can be hidden or displayed depending on what you wear then the small sun wrist tattoo is the one for you since it comes in many variations. The rising sun is always bringing hope for the new day that starts. 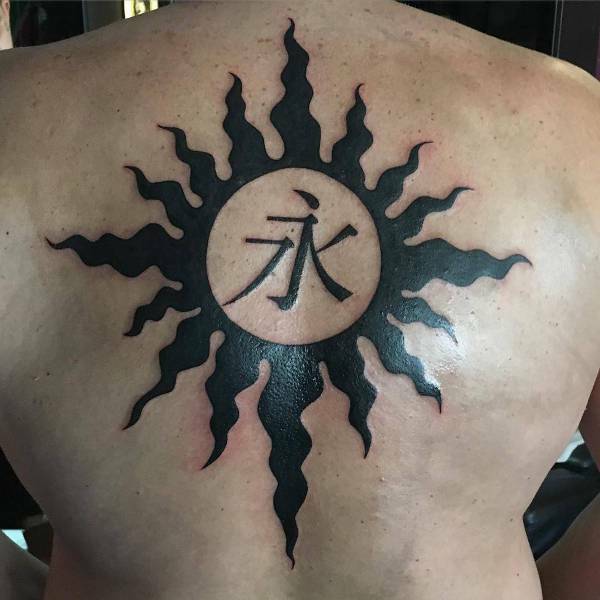 You can choose this tattoo in a small size in order to get a fashionable and at the same time attractive look for your next ink design. 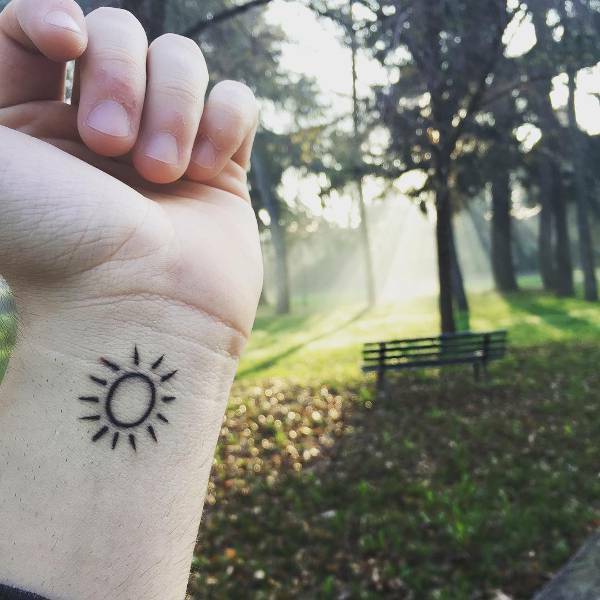 The sun tattoos might come in small size but they make up in style and variety. 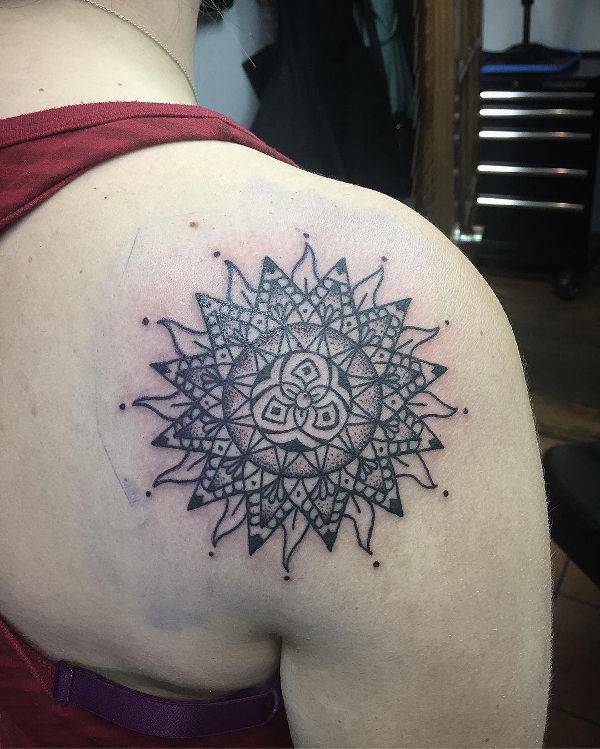 You can choose a design with traditional technique or you can go for a modern adaptation with geometric patterns and abstract style for character. 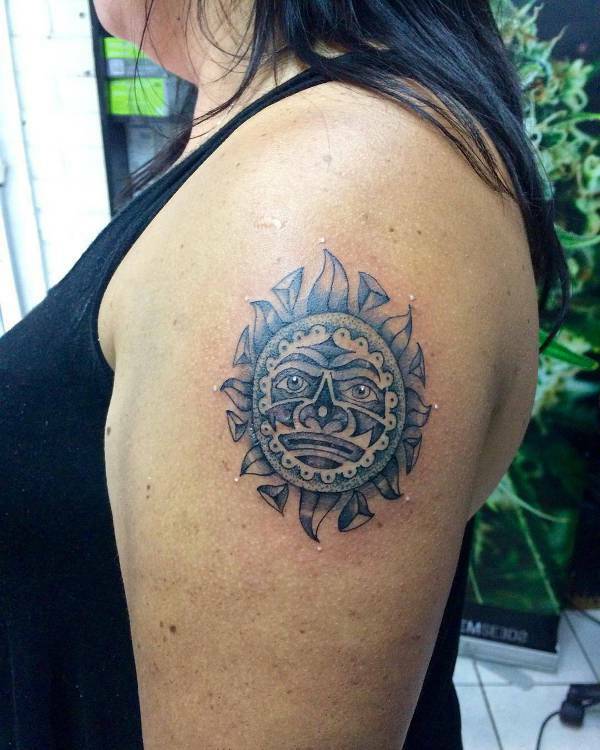 Aztec tattoos that feature the sun have a stunning complexity that looks attractive and outgoing. 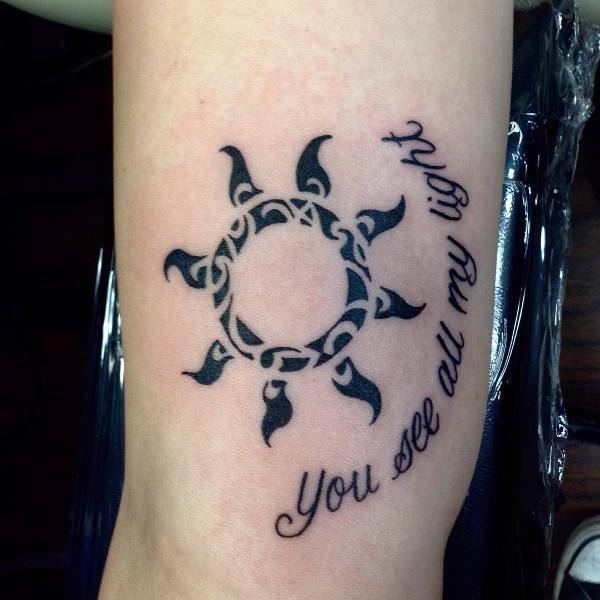 You can find many designs suitable for tattoos that feature incredible decorative elements while they give the impression of a medallion inked on your skin. 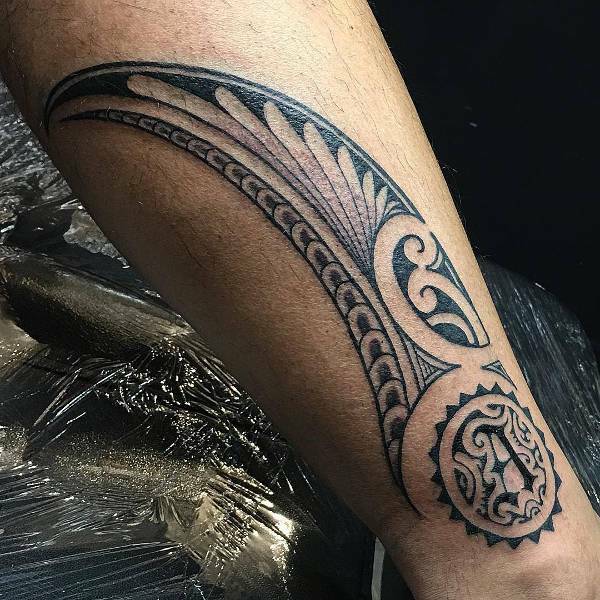 Polynesian tattoos are known for their intricacy in their design and that’s what makes their small tattoos look incredible. 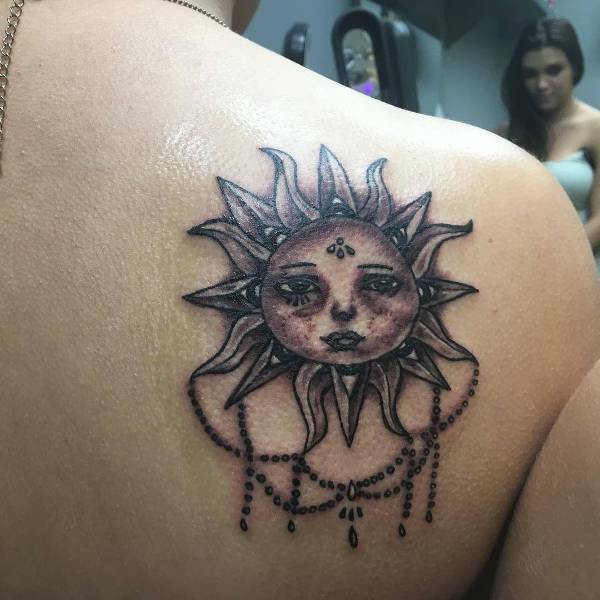 The sun designs can come in many variations featuring lines and curves that synthesize a beautiful and interesting tattoo design. 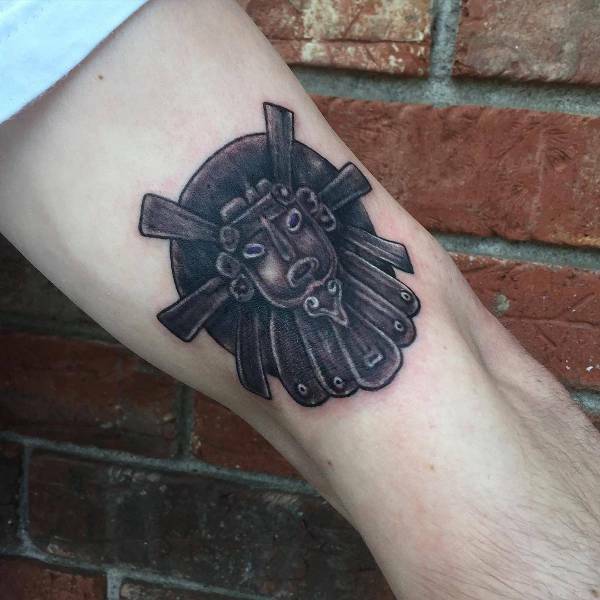 Vintage tattoos have an all time classic design that is suitable for everyone. 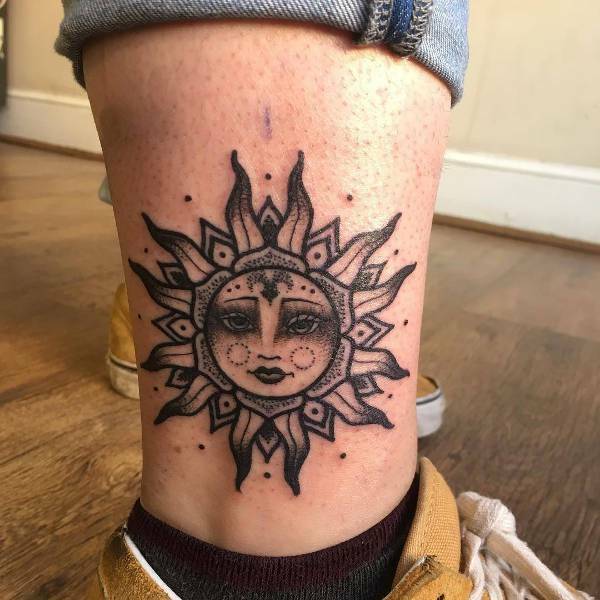 You can find stunning sun designs that come in fabulous tattoos to adorn your skin in style giving you character while boosting your appearance in a fashionable way. 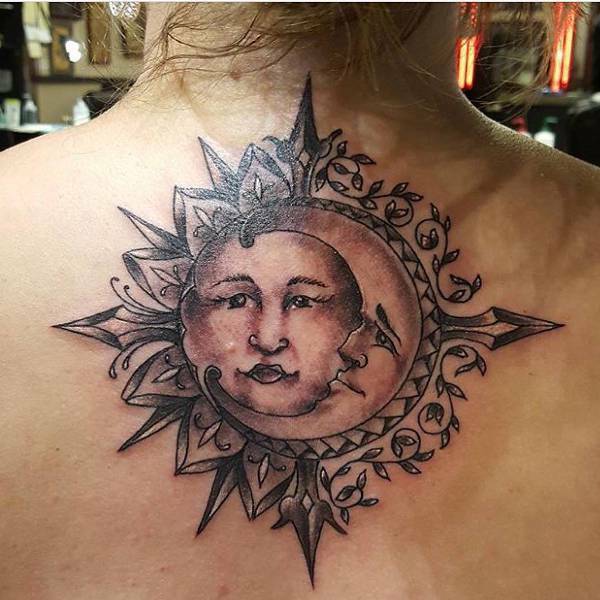 While the sun has the bright power the moon tattoos showcase a subtle energy that is elegant and stylish and many people choose them. 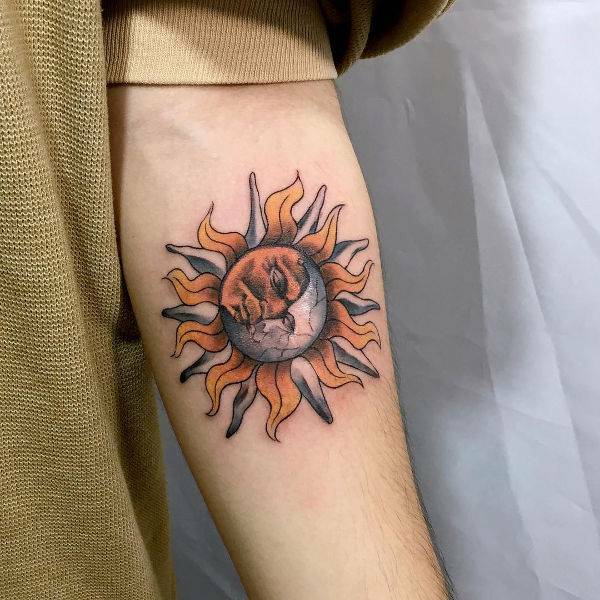 You can combine the two designs to create a circle of life design or a fashionable contradiction that regards the double nature of a person’s psyche.